Closing in on a nickle!!! Wow people. Do you realize we are reaching the 5 year mark??? 5 years ago in March Stamp Bears was Born.. the celebration month moved to August when we changed servers and we are getting close!!! Any ideas how we want to commemorate this special occasion??? Month long games and prizes?? Since I have let this slip I will run one game. one game only for a mystery prize. Here is the game. Write an article about your experience here at Stamp Bears. Quote posts, link to our announcements, rules, or history threads if you so desire. Tell us why you came here, why you stayed here, and why you would encourage others to come back here. You have until 8/17 to post your response in this thread. I will then open up voting so that members can pick the one they like best the person with the most votes at the end of the month will receive a stampy prize.. The reason I showed up in Stamp Bears is because Mr. Bear asked. He noticed several whimsical posts I made in stamp collecting related pages in Facebook and he thought I could do likewise on his relatively new board. I explained that even though I had been collecting for quite some time, I am definitely not an expert in any specific area, but I would be more than glad to assist in helping amateurs and learning from those with knowledge. For the most part that has been the way it has been. I really enjoy the posts and images that delve into the reasoning, explanation, wherefores, whys, history, mechanics, background, idiosyncrasies, and history (as opposed to just a stamp image . . . if I wanted to see an image I would just look at a picture in a catalog. That's mostly the reason for me hanging around. The comradeship is also a draw to this board. It feels good to see so many individual personalities and folks from all over the world get along. Generally, discussions are conduction in good natured and helpful ways. I don't know if there is a way of checking individual log ons, but I've signed into the Stamp Bears forum every single day that I have been home. I never miss it. Well Hello all! I've been quiet lately due to travelling and being busy elsewhere. 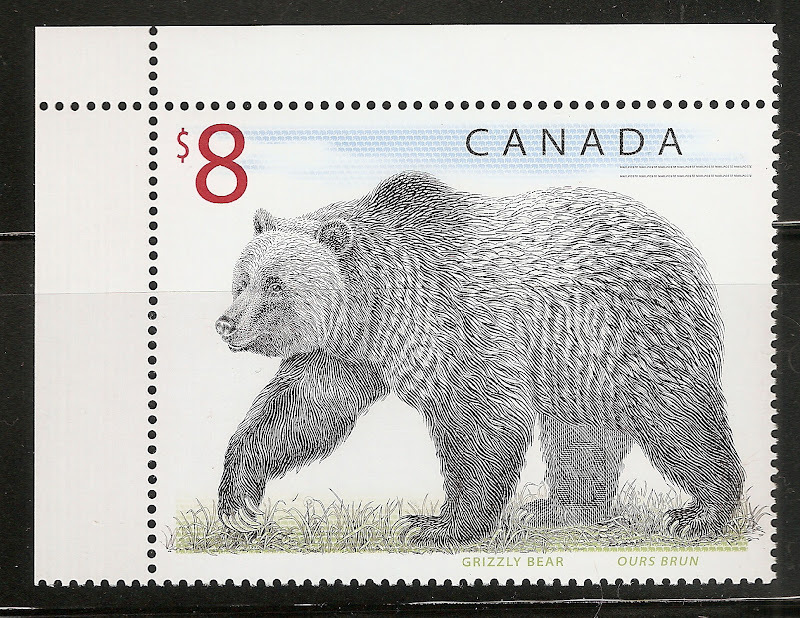 I cannot remember exactly what led me to this site ... but I recall that I was slightly disaffected from the tone and tenor of a couple of other (unnamed) stamp forums, so I thought I would give the Bear's site a try. I have never regretted it. Very friendly and helpful, and like Gordon I rarely miss a day of logging in no matter how busy I may be. I enjoy the history behind stamps and love looking at pictures of other collections. Postal history is something that I feel that I've barely scratched the surface of ... learning and researching is a driving force behind my collecting. So thanks to everyone and most especially Bear for setting up this space for us! "What should I do? I think the best thing is to order a stamp with my face on it." - Charles, Emperor of Austria 1882-1922 on learning of his accession to the throne. Two Entries thus far. Voting will open tomorrow morning in this thread. Any entries posted after 11:59pm Board Time will not be eligible. Dont forget to cast your vote. Thanks!!! The Prize is packed, and the poll closes at midnight tonight!!! cast your vote.. They will be sent out in the next day or two!! So i am dropping them myself tomorrow morning on the way into work. ...get Bear to do it!